A humorous social commentary conveys the eccentricity of Britain, from zebra crossings and Shakespeare to Twiggie Winkie's Farm and beyond, based on the author's two decades on English soil. Reprint. PW. NYT. Before New York Times bestselling author Bill Bryson wrote The Road to Little Dribbling, he took this delightfully irreverent jaunt around the unparalleled floating nation of Great Britain, which has produced zebra crossings, Shakespeare, Twiggie Winkieâs Farm, and places with names like Farleigh Wallop and Titsey. About: After nearly two decades in Britain, Bill Bryson took the decision to move back to the USA. About: After nearly two decades in Britain, Bill Bryson, the acclaimed author of such bestsellers as "The Mother Tongue" and "Made in America", decided it was time to move back to the United States for a while. About: Before returning to America after spending twenty years in Britain, the author decided to tour his second home and presents a look at England's quirks and its endearing qualities. 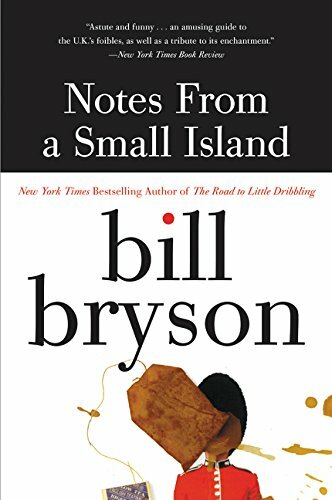 About: Before New York Times bestselling author Bill Bryson wrote The Road to Little Dribbling, he took this delightfully irreverent jaunt around the unparalleled floating nation of Great Britain, which has produced zebra crossings, Shakespeare, Twiggie Winkie’s Farm, and places with names like Farleigh Wallop and Titsey.